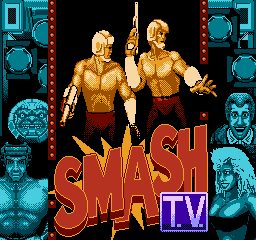 Live from Hollywood, it's TV's deadliest hour of cash and prizes...SMASH T.V.!!! 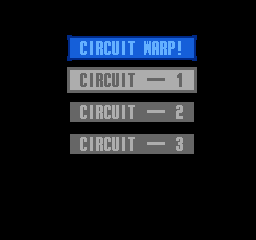 At the player number selection menu, hold at least one B on any controller along with at least one Down on any controller, then press Start once. Do not hold Start for too long, or you'll skip the warp menu. You can also instantly clear any room by holding at least one A on any controller along with at least one Select on any controller before entering the room. Continue holding the buttons until the room completely scrolls into view. If done correctly, no enemies will appear, and you can collect items or proceed to another room through any of the available exits. 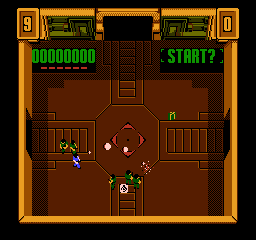 Set 00DE to 04 to equip the lob grenades, a weapon that was absent from this version of the game, and was otherwise available only during boss battles. Pick-up graphics for the Lob Grenades. This could either be the smart-bomb, another deleted item, or just a dummy. This page was last modified on 3 April 2019, at 14:00.